Lytro was a US company based in Palo Alto, which launched the world’s first consumer LightField camera in 2011. The second generation camera, the Lytro Illum, was released in 2014. The company subsequently shifted their focus from consumer electronics to the high-end Virtual Reality and Movie sector, before closing down in 2018. 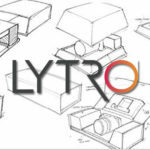 Continue reading for information about Lytro’s two consumer light field cameras, a Lytro Timeline, and an Archive for all things Lytro, which we created when the company closed down. The Lytro Light Field Camera (code named Firefly) was the company’s first product, and first consumer light field camera in the world. The camera had an 8x optical zoom lens at constant f/2, an 11 Megaray light field sensor, and an effective resolution of 1080x1080px. 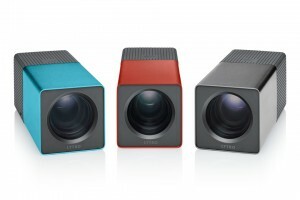 Lytro Illum was the second light field camera by Lytro, released in 2014 and aimed at “creative pioneers”. Main features include a 40 Megaray, 1-inch CMOS sensor, 8x optical zoom, RAW file output, and tilting display. 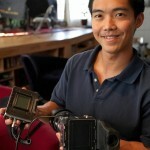 Lytro’s story was marked by several “world’s first” products in digital light field imaging. In this timeline, find out more about the company’s background and developments, from Founder Ren Ng’s dissertational research (2003 onwards) to the Lytro’s official end in 2018. Lytro ceased operations in early 2018. Here you can find an arc of Lytro materials beyond the company’s demise and website-shutdown. In an effort to help remaining Lytro users and fans make the most of their cameras, we’ve collected download links, support articles, official product information and more.